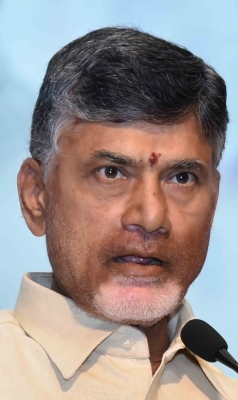 Hyderabad Sep 14 (IANS) A court in Maharashtra on Thursday issued warrant against Andhra Pradesh Chief Minister and TDP chief N. Chandrababu Naidu in an eight-year-old case relating to his protest over Babli Project. In 2010 the TDP had organised a huge protest over what it called illegal construction of Babli Project across Godavari river by the Maharashtra government. Naidu who was then the Leader of Opposition in undivided Andhra Pradesh along with 40 MLAs of his party and many had entered Maharashtra and was heading towards Babli Project in violation of the ban orders imposed by the neighbouring state. Recently a petitioner approached the Dharmabad court seeking direction to reopen the case.